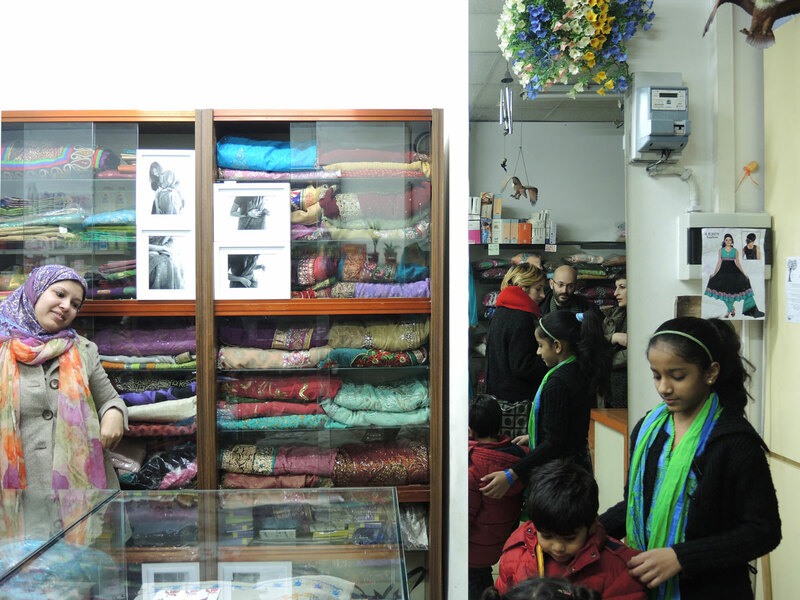 The shop of Sultana is a magical space which can turn into many different places. It is a mixture of public and private, tradition and contemporary, daily life activities and personal identity. 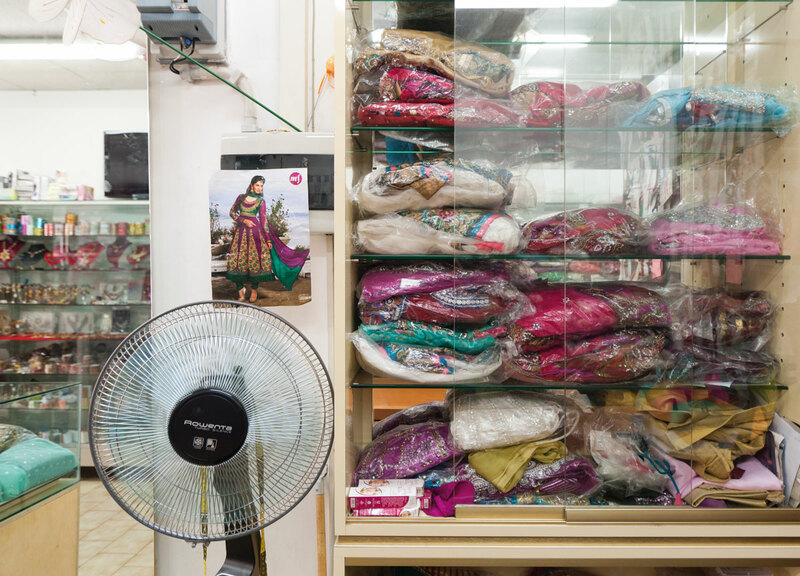 In this small shop in Torpignattara, multiethnic neighborhood of south-east Rome, the dress choice is a kind of ritual, a research of elements of beauty in the interweaving of fabrics, colors and patterns. 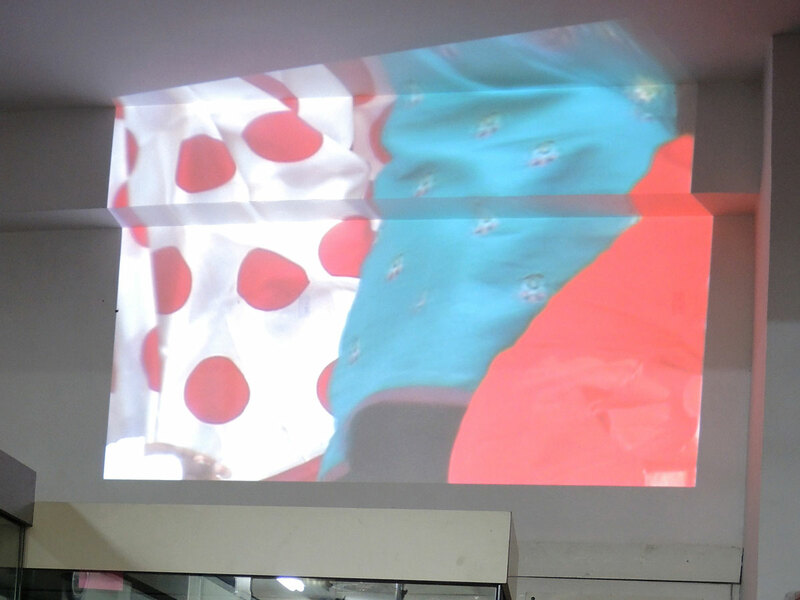 Layers of sarees and other Bangladeshi textiles are arranged on the sides of the store, with bright motifs that emerge from a world populated by tropical birds and flowers with all the shades of blue, green, red. The multiple intuitions, according to the needs at a given moments, enhance the possibility of uses without modifying the space. Small celebrations related to the Bengali calendar or informal events offering sweets, snacks and cups of jhaal muri to the clients provide opportunities for information exchange, conversations and social activities. KANTHA is an exhibition experiment conceived for the space of the Sultana Shop, a multicoloured archive of sarees and other Bangladeshi textiles. The Shop represents to us a laboratory, a small urban space were we explore the textile and decorative dimension regarding its spatial interactions and migratory hybridization. The installation is mixed with the brightly colored layers of fabrics and decorations. Through the temporary interaction with the daily activities and habits of customers, the shop is experienced as a living space of coexistence. 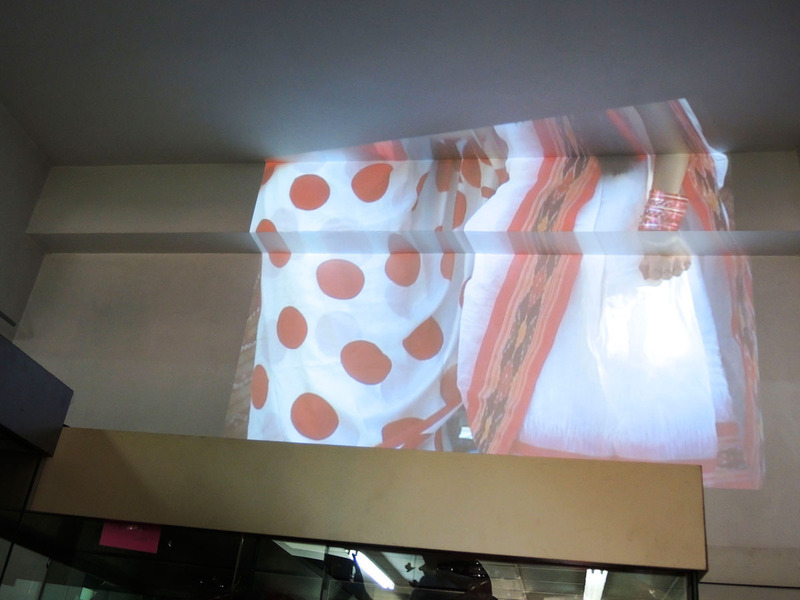 By creating a small cultural and social event, the installation in the shop is the demonstration of a possible use which creates connections from the shop to the street, from inside to the city.